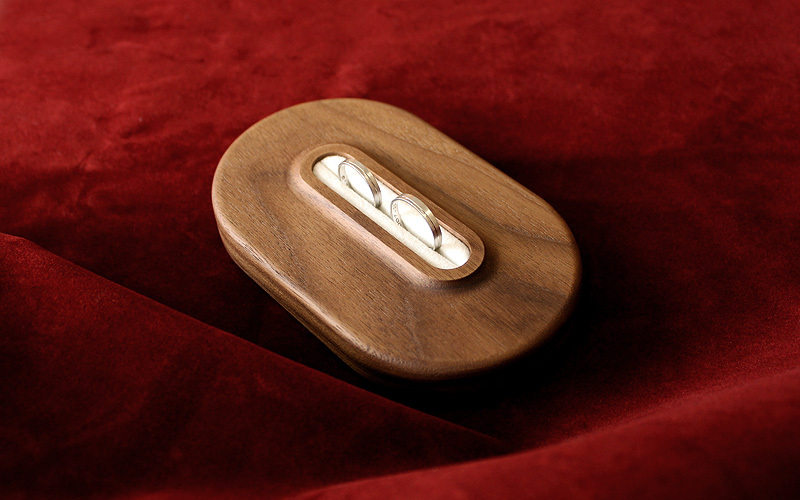 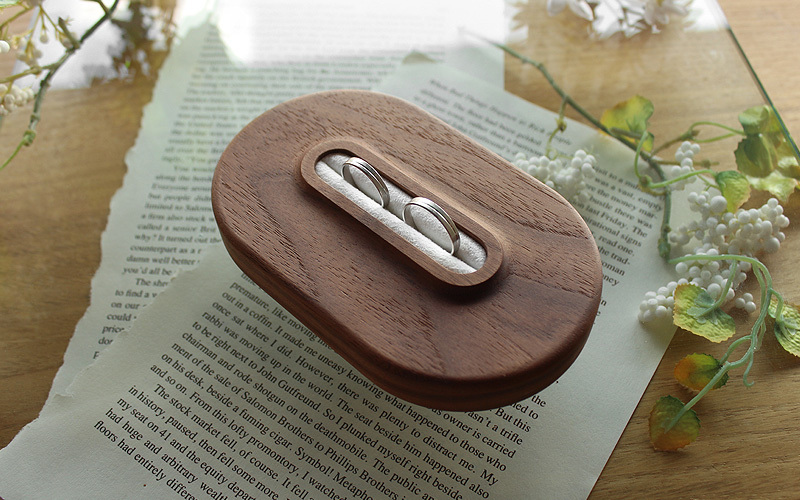 Carved out of natural wood, this ring pillow with profound feeling will be perfect for the ceremonial exchange of rings. 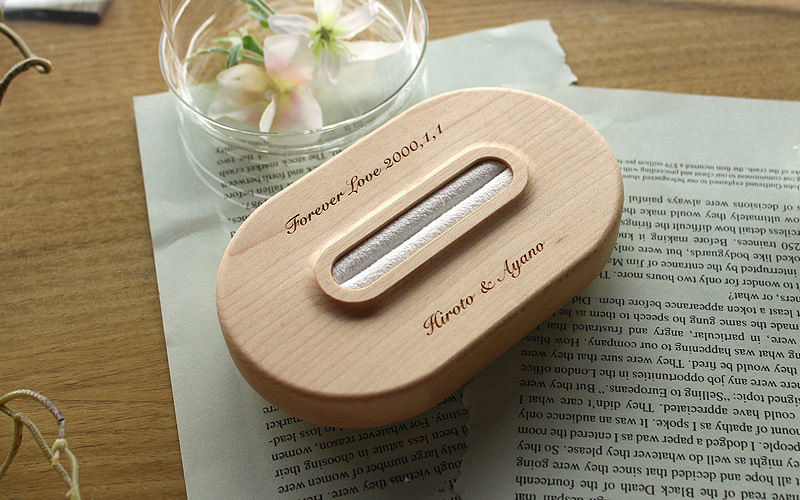 The precious wood normally used in fine cabinetwork can make "I Do" moment even more memorable. 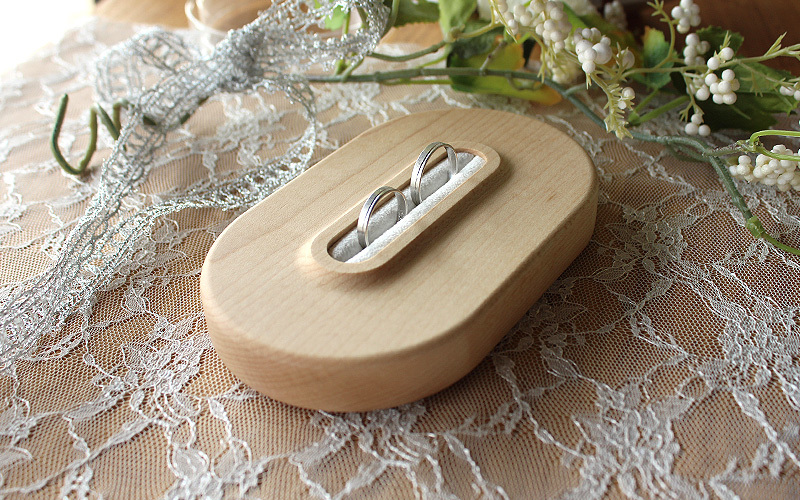 After using it at the wedding, it can be a keepsake holder for special jewelry.